The musical sound of water is calming and watching all the pond visitors is very exciting. 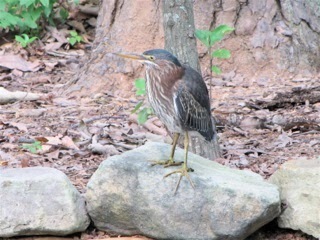 Like this Green Heron that visited one day for about an hour. Keep in mind our pond is only 5x10 feet. It was an exciting day to see a Green Heron. In another year, we also had a pair of Mallard ducks visit on Mother's Day. That was equally exciting, even though I knew they were diving for frogs eggs and tadpoles. We just enjoyed the show. They waddled away and later that day we found a duck egg in our yard. 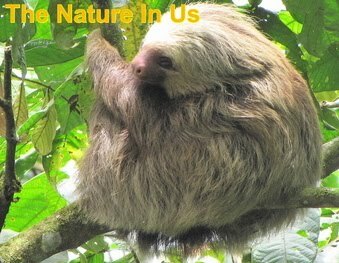 A friend told me that they lay infertile eggs and leave them behind. Small backyard ponds allow you to enjoy these things without taking up large amounts of space in your garden. We originally put it in because I love frogs and love to hear them sing me to sleep. So we don't keep it pristine and pretty. It's a woodland pond and it balanced itself out in a year or so and all we do is clean out the leaves once a year. In this article, you'll find the steps for how to build a small pond. Read on to learn more.